Give your customers an easy, quick, convenient way to connect to your website with the simple click of an app icon of your website. Tap into the power of PUSH NOTIFICATION. With Push Notification, you can send a message or coupon offer to your app customers, with the simple click of a mouse. 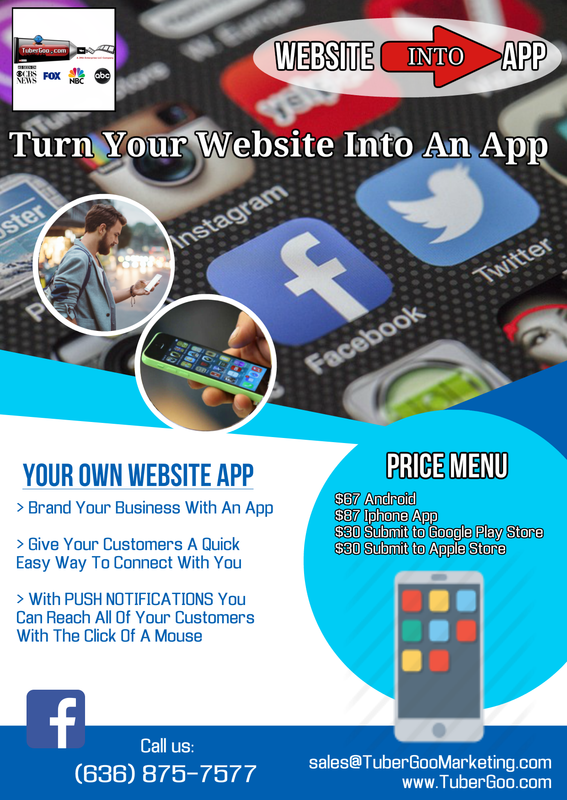 An app for your business gives you a professional edge above your competition. With TuberGoo Marketing, getting your website converted into an app has never been easier. We can offer Android, ios, Blackberry and Amazon Fire app. Contact us today for more information.